Can You Tell Cindy Crawford and Kaia Gerber Apart? If I'm particularly fascinated by the astronomic rise of 15-year-old Kaia Gerber, it's only because I so vividly remember her mother's own heyday. Fellow '90s kids might remember a time when Cindy Crawford was everywhere—her face plastered the stacks of fashion magazines in the living room of my childhood home, and her famous Pepsi commercial was nothing short of legendary. My mom had all her workout videos, and I'd try to touch my toes while she and Cindy would prance through their aerobics routine together, both clad in lycra. In the early '90s, it was Cindy Crawford's world, and we were just living in it. Keep scrolling to compare the photos of Cindy Crawford then and Kaia Gerber now. Just a warning: Some of these are downright eerie. Same thick brown hair, same doe eyes. We could all stand to channel this classic look—start with Dior's Diorshow Iconic Mascara in brown ($29), and go from there. Proof that the pair does "done-up" just as easily as au natural. All-American denim FTW. Fun fact: Kendall Jenner took this photo of good friend Gerber for LOVE magazine. Full, groomed brows are a must in this family. Glossier Boy Brow ($16) offers the perfect, natural-looking tint. Coke or Pepsi? Pepsi or Coke? Soda rivalries aside, the juxtaposition is just too perfect. 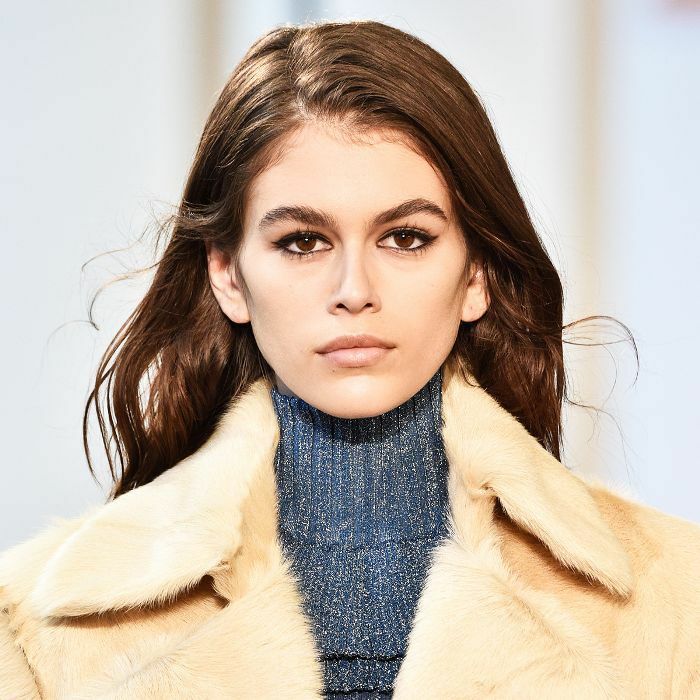 Learn more about Kaia Gerber here.